The Commonwealth has recently revised and updated its Model Law on the Implementation of the Rome Statute of the International Criminal Court. The Commonwealth is an organization of 54 States that were, in the main, formerly part of the British empire. 35 of those States are parties to the Rome Statute. The Model Law provides a template that Commonwealth member States may use (and have used) in drafting their own national ICC Statutes.The Revised Model Law of 2011, updates the Commonwealth Model Law of 2004. The revision was called for by a high level expert meeting held in October 2010 (chaired by Akbhar Khan, Commonwealth Legal Director) in order to take account of the experience since the Rome Statute came into force. An expert group, consisting of representatives from States and civil Society was set up to undertake the revision. This group was chaired by Professor Charles Garraway and I had the pleasure and honour of taking part in the group. The revised Model Law and the report of the Group were adopted on July 14 by the Commonwealth Law Ministers meeting in Sydney Australia. The full text of the revised Model Law can be found here on the website of the Commonwealth Secretariat. considered whether to include provisions on the crime of aggression in the Commonwealth model law at the present time. After considerable discussion, it was decided by the majority of the Group that further work is required and inclusion would be premature. It considered that the issue should be revisited before 2017. One area where a change was made to the Model Law was the provision dealing with immunity. The Bashir and Gaddafi cases have highlighted the importance of clarifying the position on immunity in situations referred to the ICC by the Security Council. Section 25 of the previous Commonwealth Model Law stated that any immunity by reason of a connection with a State Party to the Rome Statute does not prevent domestic action taken in support of ICC proceedings (such as arrest and surrender to the ICC). This provision is reflected in the domestic law of a number of commonwealth States (including the UK). However, this provision has now been extended in the revised Commonwealth Model Law, to exclude application of immunity attaching by reason of a State with respect to which the United Nations Security Council has made a referral to the ICC or a State which, whilst not a State Party has accepted the jurisdiction of the ICC. That provision would now explicitly deal with the Bashir and Gaddafi cases. In addition to the revised Model Law, the Commonwealth signed a Memorandum of Understanding with the International Criminal Court (see here and here). The agreement is intended to enhance cooperation between the two organizations in particular in supporting domestic implemention of international criminal law. that all States shall ensure that any funds, financial assets or economic resources are prevented from being made available by their nationals or by any individuals or entities within their territories, to or for the benefit of the Libyan authorities, as designated by the Committee, or individuals or entities acting on their behalf or at their direction, or entities owned or controlled by them . . .
Clearly, this provision was not intended to impose a comprehensive trade ban with Libya as it does not expressly prevent the export of goods to Libyan territory in general (nor importation from Libyan territory in general). The provision is intended to prevent transfers of funds or assets to the Libyan authorities (meaning the government of Colonel Gaddafi). However, if exporters to Libya (or those wishing to export from Libya) are required to pay charges to the Libyan government when their vessels and goods are at a Libyan port, they will be caught by this provision as they will then be making funds available to the Libyan authorities. So some smart lawyer must have told the Libyan government that in order to avoid what will in effect be a comprehensive ban on trade with Gaddafi controlled Libya they need to avoid the port charges. The African Union takes on the ICC Again: Are African States Really Turning from the ICC? In the latest summit meeting of the African Union (AU) held in Malabo, Equitorial Guinea, the AU Assembly of Heads of States and Governments has reiterated its opposition to a number of prosecutions at the International Criminal Court (ICC). Readers will recall that all the situations under investigation and prosecution at the ICC relate to African countries. While half of these situations were referred to the ICC by the African States themselves (Democratic Republic of Congo,Uganda, Central African Republic), the AU objected to the decision of the ICC to prosecute Sudanese President Omar Al Bashir. It has called on the UN Security Council to act under Article 16 of the Rome Statute and defer proceedings against Bashir. It has also decided that African States should not comply with the ICC with regard to the Bashir case, including a call for non-compliance with the arrest warrant for Bashir (see previous posts here). In addition, the AU has also called on the UN Security Council to defer the investigations and prosecutions in the Kenya situation (see posts by Max du Plessis and Chris Govers here and here). At the latest AU summit, the AU Assembly has reiterated these calls with regard to the Bashir case and the Kenyan situation. It has now also also called on the Security Council to defer the investigations in Libya and called on AU members not to cooperate with the ICC with regard to the recent arrest warrant for Gaddafi, his son and the Libyan intelligence chief (on which see this post). On the 4th of July, the International Court of Justice (ICJ) decided that Greece can intervene in the Jurisdictional Immunities of the State case (Germany v. Italy). The case concerns a claim by Germany that Italian courts have failed to respect the sovereign immunity of Germany in cases brought in Italian courts dealing with human rights violations by Germany during World War II. In addition to cases originating in Italy, Germany alleges that Italian courts have acted in breach of international law by enforcing, in Italy, the judgment of the Greek courts in the Distomo massacre case. Greece’s request for intervention relates to the aspect of the case that deals with enforcement of the Greek judgments (which relate to claims by Greek nationals). The ICJ’s decision permits intervention only in relation to that aspect of the case. For more details on Greece’s request to intervene, see the post by Antonios Tzanakopoulos and for more on the original case, see my own post from when the case was first filed in 2009. I believe that this is only the third time in the history of the present Court in which intervention under Article 62 of the ICJ Statute has been permitted. Article 62 permits a State which has an interest of a legal nature in the subject matter of the case to apply to the Court for permission to intervene. In most cases, where Article 62 intervention has been requested, the ICJ has denied the request. Most recently (in May of this year), the Court denied requests for intervention by Honduras and Costa Rica in the Territorial and Maritime Dispute (Nicaragua v Colombia) (see decisions here and here). The ICJ’s decision to permit Greece’s intervention in the Immunities case was reached without the Court holding a hearing on the issue. This is because neither of the two original parties to the case (Germany and Italy) objected to the intervention. Greece will be intervening as a non-party to the case, meaning that it will not be bound by the decision of the Court but it cannot put it’s own claims at issue. The Contact Group reaffirmed that the Qaddafi regime no longer has any legitimate authority in Libya and that Qaddafi and certain members of his family must go. Henceforth and until an interim authority is in place, participants agreed to deal with the National Transitional Council (NTC) as the legitimate governing authority in Libya. This is clear recognition, by members of the Contact Group, of the NTC as the government of Libya. As noted in my previous post, such formal recognition is contrary to the stated policy of many of these countries that they do not recognise governments. In reality, States always have to decide which entity they consider to be the government of other States. However, the policy of not recognizing governments meant that some countries would not make formal statements announcing the recognition decisions they had made. This statement by the contact group not only exposes the lack of reality in the policy of not recognizing but even goes against the practice of not making formal statements regarding recognition. On Monday of this week, the International Court of Justice indicated provisional measures in the case between Cambodia and Thailand regarding the Temple of Preah Vihear. The case was filed earlier this year after confrontations between the armed forces of both States in the area of the Temple. The case concerns a request by Cambodia for interpretation of the judgment that the ICJ issued in 1962 in the orignal dispute between the two States. In that earlier judgment, the Court had found that “the Temple of Preah Vihear is situated in territory under the sovereignty of Cambodia;” and that “Thailand is under an obligation to withdraw any military or police forces, or other guards or keepers, stationed by her at the Temple, or in its vicinity on Cambodian territory.” In the request for interpretation, Cambodia is asking the Court to clarify the meaning of the phrase “vicinity on Cambodian territory”, to state that the obligation to withdraw from that vicinity is a continuing obligation (and not a one time obligation fulfilled back in 1962). Most importantly, it seems to me, Cambodia is asking the Court to state that its 1962 judgment recognized with binding effect the frontier line that was indicated on the so called “Annex 1 map” extensively discussed by the Court back in 1962 (but which was not referred to in the operative part of the judgment). In other words, Cambodia wishes the court to clarify that the 1962 judgment did not just recognise that the Temple and its vicinity is are on Cambodian territory but determined the frontier between the two State more generally. 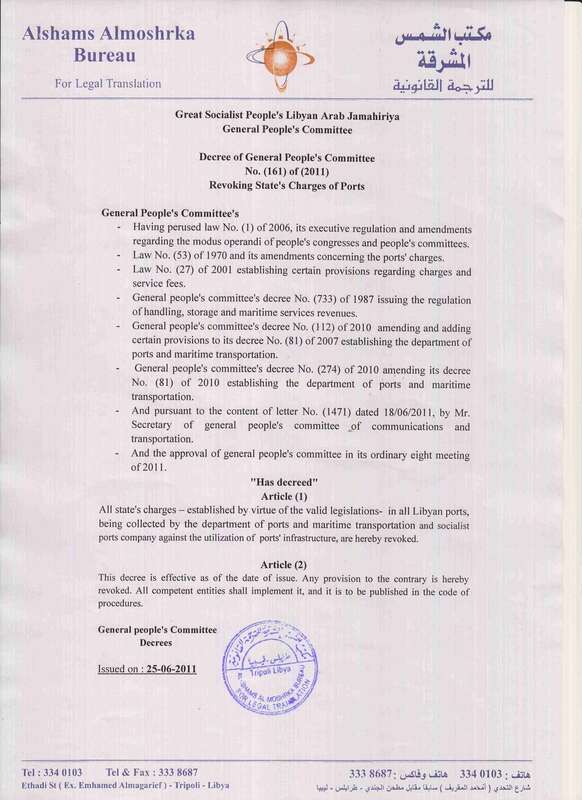 The order was criticised by a number of dissenting judges (President Owada, Judges Al Khasawneh, Xue, Donoghue & Judge ad hoc Cot) because the provisional demilitarized zone not only required the parties to withdraw from the territory in dispute but also from territory indisputably under their own sovereignty (see also post by Julian Ku at Opinio Juris). I will return to this point later. However, the main thing I want to do is to highlight two developments that may not be easily noticed in the Court’s recent case law on provisional measures. The first of these developments is that the in the past couple of years the Court has actually introduced an additional requirement for the indication of provisional measure. The second is that the Court (in a return to earlier practice) is more prescriptive in indicating provisional measures than it has been at some points in its history. The Newly Independent State of South Sudan – Should We Rethink the Right to Secession? SOLEMNLY DECLARES that all Member States pledge themselves to respect the borders existing on their achievement of national independence. A three-day doctoral training school shall be held at the European University Institute, Florence, on October 20-22, 2011, in context of COST Action 1003. The topic of this training school will be “the vices and virtues of international constitutionalism”, and submissions are invited from PhD students working in areas related to this topic who are interested in debating the topic with fellow PhD students and with internationally recognised experts in the field of interntional constitutionalism. . The doctoral training school is intended to bring PhD students from different European countries together on topics related to COST Action 1003, International Law between Constitutionalisation and Fragmentation: the role of law in the post-national constellation. (to be found at the Action website: http://www.il-cf.eu/ ). Support can be offered to PhD students from participating countries. Currently the following countries participate in the Action: Austria, Belgium, Czech Republic, Denmark, Finland, France, Germany, Greece, Israel, the Netherlands, Norway, Poland, Portugal, Spain, United Kingdom, Former Yugoslav Republic of Macedonia, Hungary, Ireland, Sweden and the European Institute in Florence. Serbia, South Africa and Australia are currently applying for partnership.